On October 15, bloggers from all over the world will get together to blog about climate change in one of the largest social change events on the web: the Blog Action Day. This is an annual event that unites the world's bloggers in posting about the same issue on the same day. The aim of this global demonstration is to raise awareness and encourage a global conversation on important subjects that face the world. 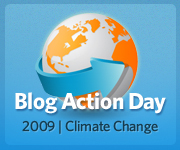 I am so happy to announce the topic for Blog Action Day 2009: climate change. Thousands of people voted and together we’re going to bring new breadth to the global climate change conversation just as our leaders prepare to meet in Copenhagen this December in an effort to agree on lasting solutions to this crisis. 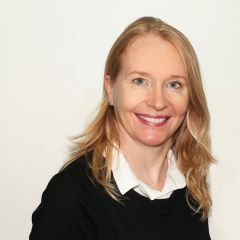 Blog Action Day was founded by Collis & Cyan Ta'eed in 2007 with the support of their team at Envato. On that first occasion, founders encouraged more than 20.000 bloggers to devote a day to blogging about environmental issues. The next year, in 2008, they highlighted poverty issues with bloggers sharing their personal perspectives and ideas for solutions. This year, climate change is the subject, which is a great opportunity to build on all the discussions and online campaigns that are being organized in advance of the COP15 United Nations meeting in Denmark in December 2009. Anyone can participate in Blog Action Day on October 15, be it on blogs, online journals or online magazines. There are no limits to how many posts one can write nor to the content of it, as long as climate change is the subject. Among the supporters of Blog Action Day are organizations such as Oxfam, Avaaz, TckTckTck, Greenpeace and Amnesty International. 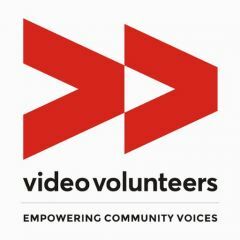 As an official blog partner, Global Voices will support Blog Action Day by encouraging bloggers around the world to register their support online and join in. On October 15 and beyond, Global Voices bloggers look forward to linking to and translating what bloggers around the world are saying about climate change and the environment where they live. So how this will be organized. Are we blogging from our blog and just announced it…. How the mass blog effect will be achieved? 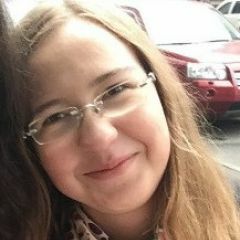 If you go to the http://www.blogactionday.org website, you can register your blog and find a list of all the other bloggers who have registered too. You can also find suggestions for what to blog about on October 15. The thousands of blogs together have millions of readers. I blogged for Blog Action Day in advance. I’m encouraging all of you to use the term “global warming” instead of “climate change,” and explain why in this post about environmental writing.